Harry Connick Jr .....stop ...take a deap breath. Yes, this cute actor is a singer too. If that was not enough he is a composer as well. Let me tell you, he can saing. Not sing. HE can SaIng. This cd has some wonderful songs originally performed by different people. Harry took it to another level. The songs are great. Pop it in your cd player, like I did, and you will just melt away. I love his voice. My favorite song has to be Besame Mucho, Kiss Me Many Times. Add it to your collection. This great cd came out on September 22 but I got a copy to review. 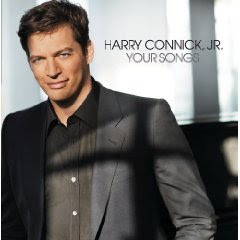 Thanks to my membership at One to One, I was able to receive the Your Songs cd by Harry Connick Jr and experience his wonderful music. See his TV appearances below and tune in to hear him talk about Your Songs and perform songs from the album. Too bad I will be at work and I don't have TiVo. I also reviewed this cd but I didn't like it very much. The real reson for this comment though is to tell You that you should head over to my blog, http://mandablogsabout.blogspot.com and read my post about my first blog award, because I'm giving you the, "One Lovely Blog Award" too! YAY!! I think your blog is great! I love all the songs that are on the CD and I love HC,Jr. so I'm sure I will love it! Thanks for telling us about it. I didn't even know he had a new CD! I have an award for you at If Mama Ain't... Come by and pick it up when you can.